The first probe to successfully land on another planet arrived on Venus, where it found one of the most hostile atmospheres known to man. In 1971, the Russians succeeded in landing the Venera 7 probe on the surface of Venus. 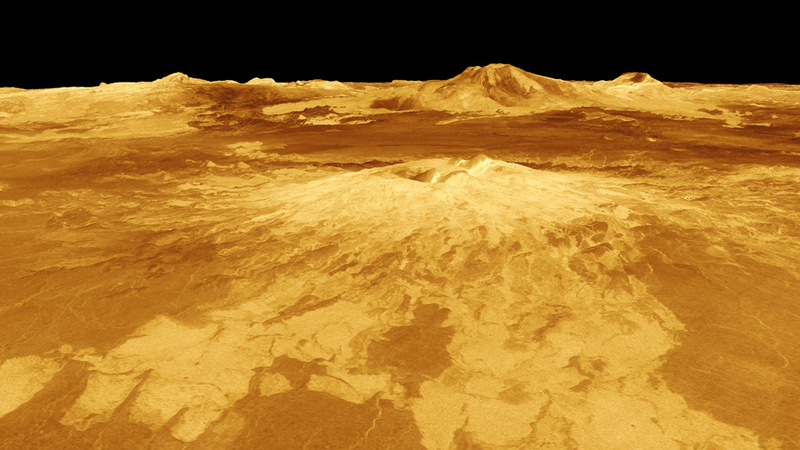 The Venera 7 probe traveled through clouds of sulfuric acid 10 miles thick to reach Venus' surface. Venera 7 transmitted pictures revealing a volcanic landscape. Venera 7 also recorded temperatures of 450 degrees, wind speeds of 350mph and atmospheric pressure 90 times that of Earth's. Just before Christmas, the Russian team saw the probe's faint signal reporting touchdown, they had made it.